Spring Break. 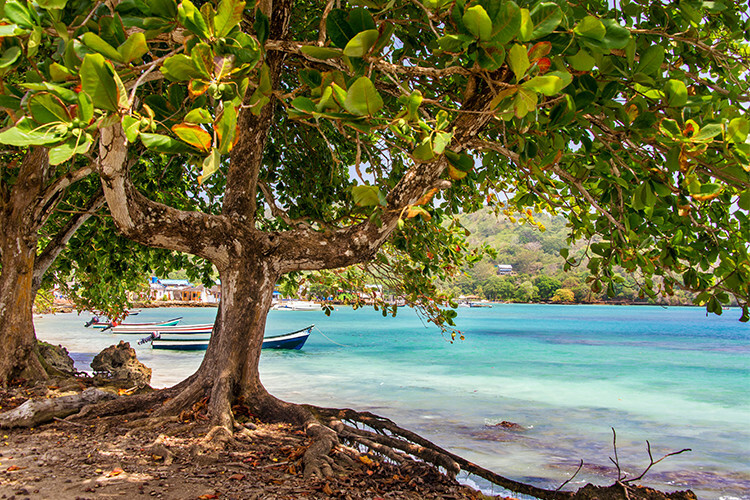 That promised week of paradise that keeps us going during those long, cold, desk-ridden winter days. Just the mere mention of it evokes images of sun-kissed sand and calming waves and sometimes precedes an overwhelming urge to be anywhere but the office. Or wait, is spring break actually about neon wristbands, unlimited drinks, pool parties, and hangovers? Let’s be real – all that can be fun, but there may come a point in your life where you want something more out of spring break (because hey, we live in America and time off can be hard to come by…also that’s what senior year of high school was for). Returning to the real world from vacation is hard enough without the new beer belly, hazy memories and empty wallet. But returning home from spring break feeling physically and mentally fit and still have amazing stories to regale your friends with? That’s what being a grownup is all about! Right? RIGHT? Well, I have good news, folks: with the price of oil the lowest it has been in years, it’s finally more affordable to get out of town! 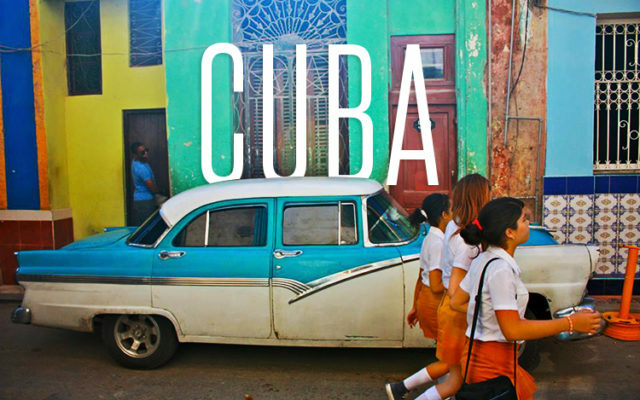 So make sure your passports are up-to-date and check out our list of these five alternative spring break destinations. 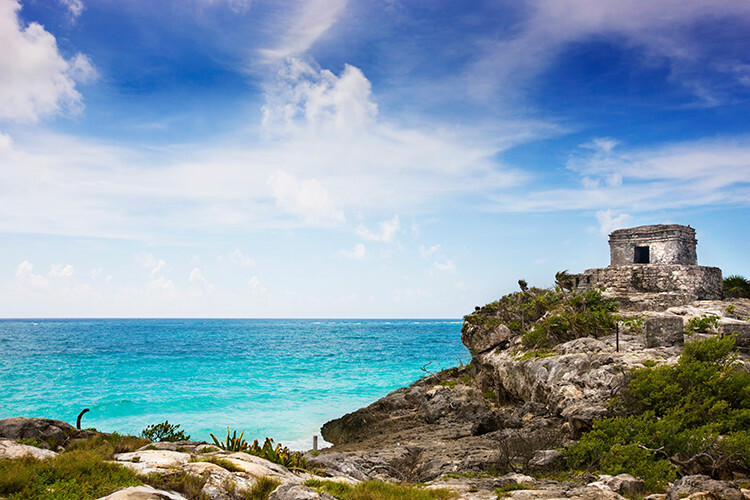 Fit Funday activity: rent a bicycle and spend the day riding around discovering the less touristy corners and coastline of Tulum; all beaches in Mexico are public. 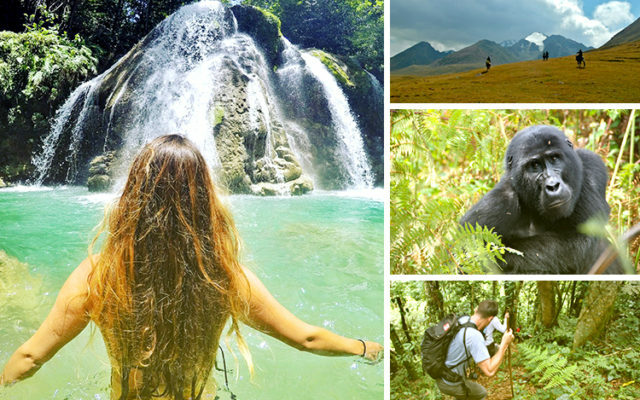 Gone are the days when Colombia, overrun with drug traffickers and FARC rebel activity, is off-limits to tourists. Today it’s an up-and-coming destination full of untouched rainforests, pristine beaches, and thriving cosmopolitan centers. The best news is that it’s relatively unexplored, meaning visitors can have authentic and adventure-filled experiences without being surrounded by hordes of Hawaiian shirt-clad spring breakers commonplace in more established destinations. While Colombia might sound too exotic for a week away, it’s just a short three-hour flight from Miami and a round-trip ticket costs the same as most domestic flights. 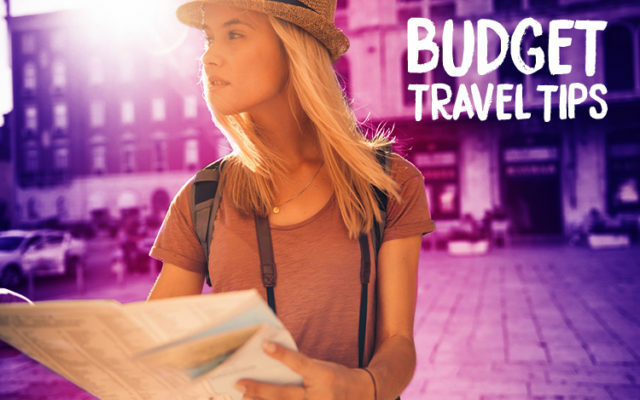 Whether you want to explore the cafes and museums of Bogota, admire the brightly-colored colonial architecture and beaches of Cartagena, take a Pablo Escobar tour in his hometown of Medellín or camp on the beautiful beaches of Tayrona National Park, there is something in Colombia for everyone seeking more than discarded plastic cups and crowded club scenes. Fit Funday activity: Did you know salsa-dancing burns an average of 400 calories per hour? And that Colombia is one of the salsa-dancing capitals of the world? Spend a day taking lessons and a night practicing your new moves with the locals. No, I’m not sending you to the bathrooms of Ecuador. Baños actually derives its name from all of the famous hydrothermal springs in the area. Among travelers, Baños is better known as the Adventure Capital of Ecuador. 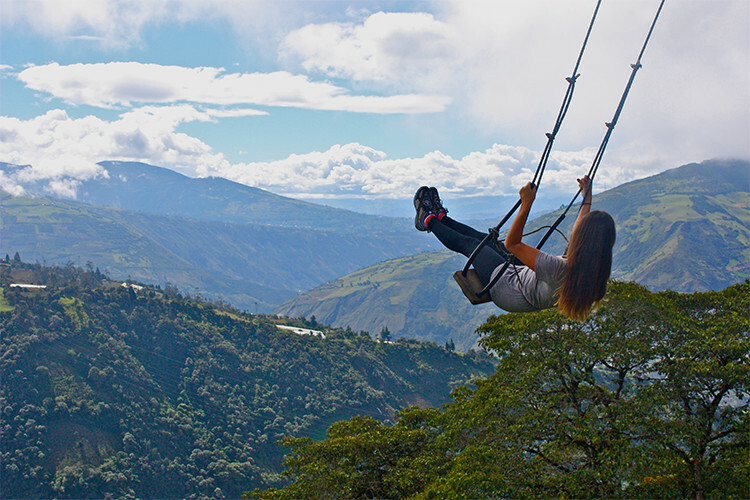 Adrenaline junkies take note: when you’re not soaking in the baños, this quaint, tourist-friendly town in central Ecuador offers visitors the opportunity to go bungee jumping, canyoning, white water rafting, rock climbing, zip lining, horseback riding, guinea-pig-on-a-stick-eating and more (if that last one didn’t sell you on Baños I don’t know what will). Its location also makes it a perfect jump-off point for jungle treks, which can range anywhere from a couple of days to a couple of weeks. And of course, no trip to Baños is complete without a photo of you swinging on the iconic Casa de Arbol tree swing — a once-in-a-lifetime experience and quite possibly one of the world’s most breathtaking views. Bonus: Ecuador uses the USD as its official currency so those who are mathematically clueless have no need to worry about confusing currency conversions. Fit Funday activity: In other countries it’s hard to know what you’re in for when you sign up for a rafting trip. Sometimes you’re like, “what rapids?” and other times you are genuinely scared for your life. Baños offers rafters the best of both worlds, and with prices around $30 for a half day, it’s quite a bargain at that. Old school ski slopes blanketed in powdery white snow, classic New England charm and dairy products galore. Typically overlooked for more well-known ski spots out West, Mad River is a breath of fresh air — literally. Surrounded by sweeping landscapes dotted with classic red barns and full of friendly locals and delicious farm-to-table fare. But let’s talk about what you’re really interested in: hitting the mountains. 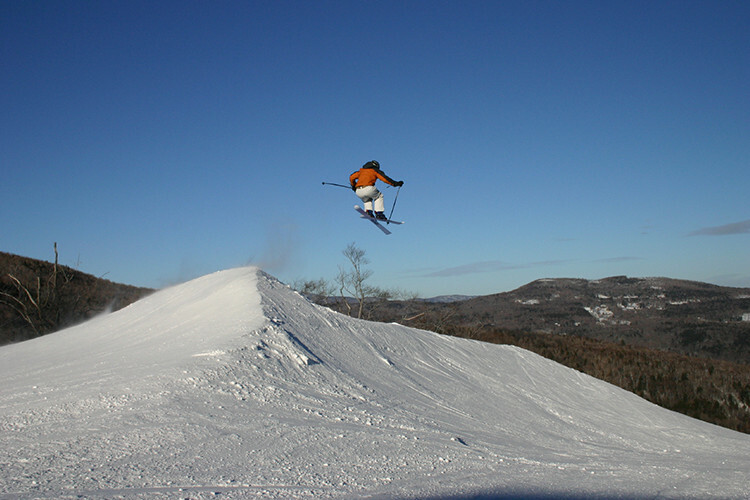 Purists will enjoy Mad River Glen, the iconic ski area that bans snowboarders and still operates a one-person single chair lift. For everyone else there’s Sugarbush, home to four peaks and enough trails that it draws 350,000 visitors a year and still doesn’t seem overcrowded. Fit Funday activity: If skiing and snowboarding don’t cut it for you (or like me, the thought of speeding downhill terrifies you), rent a pair of snow shoes and spend a day trekking the Long Trail while enjoying stunning mountain views. A quick Google Image search of Havasu Falls yields pictures of water so bright and turquoise in hue that at first glance you may experience some confusion. It’s true though, the American desert really does boast water so blue it rivals that of Thailand. 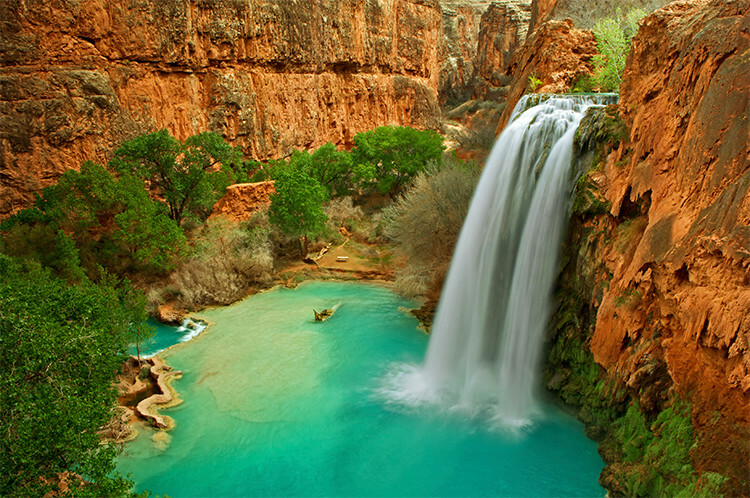 Havasu Falls is located in a remote area of Grand Canyon National Park on the Havasupai Indian Reservation, making it a great addition for those who were already planning a trip to the iconic American destination. Part of why Havasu Falls made the list is that it’s not the easiest to get to, which means you might actually have the place to yourself! There are also plenty of opportunities to camp for all you city folk lookin’ to “get off the grid” for a few days. Havasu Falls requires a permit, of which a limited number are issued, so be sure to book in advance. For those interested, I recommend visiting the official website of the Havasupai Tribe, as well as reading this excellent and informative account of one couple’s visit. Fit Funday activity: For those who want the real Havasu experience, getting to the waterfall requires a challenging 10 mile hike. For everyone else (no judgments) horses and donkeys are available to rent. Written by: Danielle Hyams on March 9, 2016. Last revised by: Levi HarrisMarch 11, 2016.